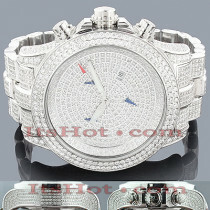 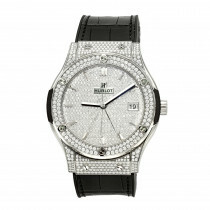 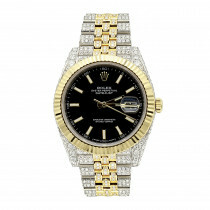 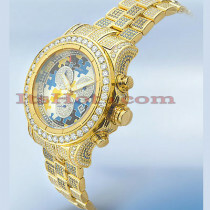 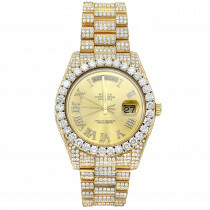 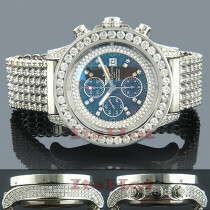 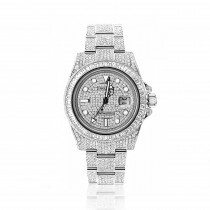 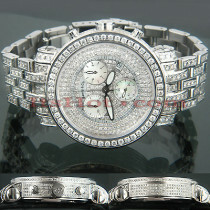 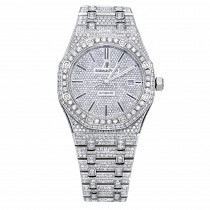 Iced out with diamonds silver stainless steel case and professional band. 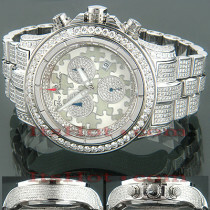 Selfwinding chronograph. 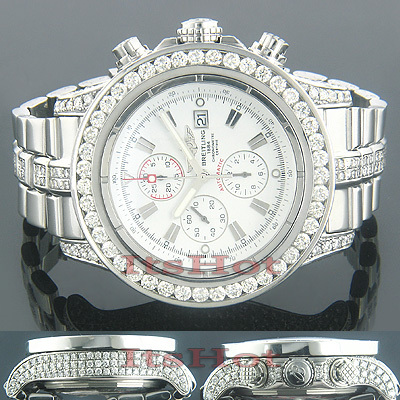 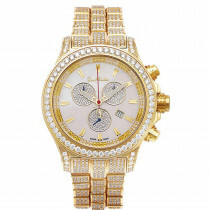 White face with three chronograph subdials.